Many local, regional, and national governments are engaged with open source software and communities. Below are only a few resources that may help departments and agencies understand the value of open source software and development communities within the public sector, as well as how public institutions can engage with, and implement similar initiatives to realize the greatest returns for their citizens and governments. If you are aware of resources not listed here, please contact us and share your references. by James Passingham, Technical Director and CEO at Foehn. Creating and enhancing value using Free and Open Source Software within the ICT Framework for providing Efficient, Economical, Secured, and Quality Services. there is a need to formulate a policy for the Government Organizations to adopt Open Source Software. The Policy on Adoption of Open Source Software for Government of India will encourage the formal adoption and use of Open Source Software (OSS) in Government Organizations. National Resource Centre for Free and Open Source Software (NRCFOSS) is an initiative of the Department of Information Technology, Ministry of Communications & Information Technology, Government of India. NRCFOSS was setup in Chennai in April 2005 with the twin roles of bridging the digital divide as well as strengthening the Indian Software industry. NRCFOSS contributes to the growth of FOSS in India through Research & Development, Human Resource Development, Networking & Entrepreneurship development, as well as, serve as the reference point for all FOSS related activities in the country. Licensing and releasing copyright software works under free and open source software licences. NZGOAL-SE makes use of the General Public Licence (GPL) and the Massachusetts Institute of Technology (MIT) licence, providing software specific guidance for releasing publicly funded software as open source. Where appropriate, government will procure open source solutions. When used in conjunction with compulsory open standards, open source presents significant opportunities for the design and delivery of interoperable solutions. We want to encourage innovation ­inside Government by encouraging open source thinking, and outside by helping to develop a vibrant market. The IT Industry and the wider economy will benefit from the information we generate and the software we develop. 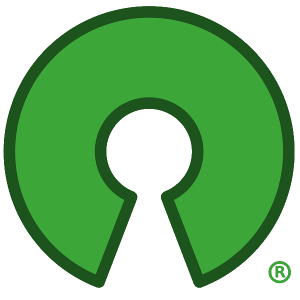 The default position of 18F when developing new projects is to use Free and Open Source Software (FOSS), which is software that does not charge users a purchase or licensing fee for modifying or redistributing the source code, in our projects and contribute back to the open source community. An educational resource for government employees and government contractors to understand the policies and legal issues relating to the use of open source software (OSS) in the Department of Defense (DoD). The information on this page does not constitute legal advice and any legal questions relating to specific situations should be referred to legal counsel. References to specific products or organizations are for information only, and do not constitute an endorsement of the product/company. Draft policy to support improved access to custom software code developed for the Federal Government. UK Government buyers have signed a new commercial deal for Open Source office applications on desktop, mobile, and cloud. The "Cloud Transition Agreement" between the Crown Commercial Service (CCS), an executive arm of the Cabinet Office, and British Open Source software firm Collabora Productivity, states the Government's commitment to Open Source and Open Document Format, and offers major cost savings for public sector bodies.